“Cordon Bleu” refers to a signature dish of chicken topped with a slice of ham and Swiss cheese, usually breaded and sautéed in butter. In this case, the chicken package is wrapped in puff pastry and baked for a quick and easy finish. 1. Sprinkle chicken with salt and pepper. In a large skillet, brown chicken in butter for 1-2 minutes on each side. Remove to paper towels to drain. 2. On a lightly floured surface, roll the pastry sheet into a 12-in. square. Cut into four 6-in. squares. Place a chicken breast in the center of each square and top with cheese and ham, folded to fit. 3. Whisk egg and water; lightly brush over pastry edges. 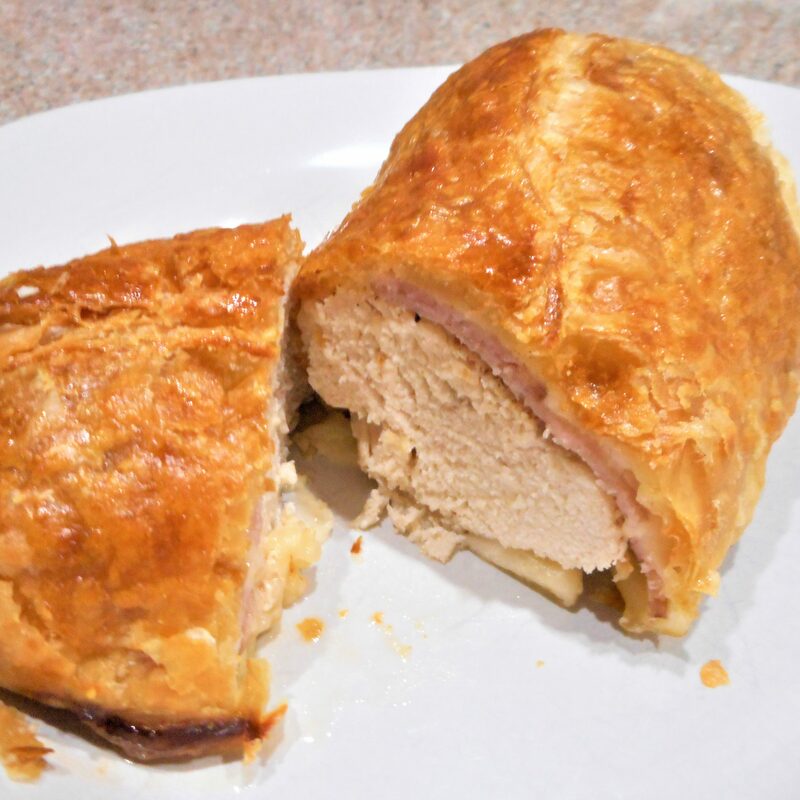 Bring two sides of pastry over chicken, overlapping one over the other; press seams to seal. Pinch together ends and fold under. 4. Transfer to a greased baking pan and brush tops with egg mixture. Bake at 400° for 30-35 minutes.